The report found that the association between payments and prescribing is strongest for hydrocodone and oxycodone, the most frequently prescribed opioids among Medicare patients (Americans of 65+ years and some younger people with disabilities). The Medicare population is estimated to have the highest and fastest growing prevalence of opioid use disorder in the US. The data on opioid prescriptions came from the Medicare Part D Prescriber Public Use File, which holds data on prescriptions provided to and filled by Medicare beneficiaries. Both datasets are available on data.cms.gov, a website maintained by the Centers for Medicare and Medicaid Services (CMS). The study, led by Dr. Thuy Nguyen of Indiana University's School of Public and Environmental Affairs, looked at the prescribing practices of 63,062 US physicians who directly received opioid-related promotional payments, compared with over 802,000 physicians who received no such payments. 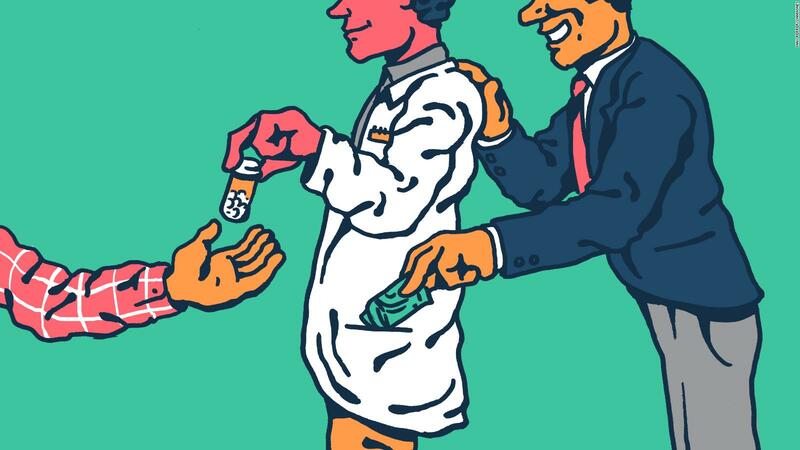 From 2014 to 2016, the doctors who received payments prescribed, on average, over 13,070 daily doses of opioids per year more than their unpaid colleagues.